I love my Infocast 8, and the Chumby hardware, the folks keeping Chumby running are awesome. had ceased, but before Duane[? I think] got the services back). doing enough research first. Of course, I got a nice HID-B7 brick. 3) There are people working on the B7(0)s, but they've been hampered. gaps from the above material. So, if anyone with any additional information wants to contact me via PM, perhaps we can share resources and get the B7 unbricked. Oops, just realized there's no PM and I have 'allow email from forum' disabled. I am investigating a device I own for research purposes and would like to compare notes with someone doing the same. I also hope you are able to make the older Dash's compatible with Chumby. Is there any update regarding this? I'm working on trying to crack the HID-B70 nut too! Right now, I own five worthless Sony Dash HID-B70s that I would love to Chumbyize. I'm fairly new at this, so bare with my stupid questions, please! So, I'm dabbling with Kali Linux and I setup a private network for which I connected a HID-B70. 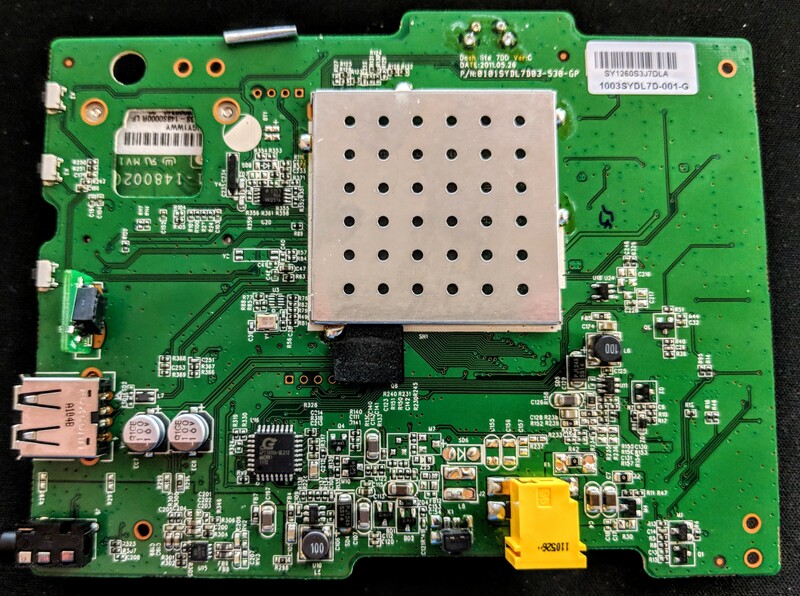 The HID-B70 grabbed an IP address, and while watching the traffic on Wireshark, I expected to see network traffic where the HID-B70 would try to call back to some IP address during the authorization process. Nothing! I also ran an NMAP scan, and there doesn't appear to be any open ports. Any progress or suggestions out there that I may try? As the final knife in the Dash, did Sony push a firmware update that bricked the HID-B70? If so, does anyone have a copy of the last known good firmware update? Duane must be covered up at work. Seems like there were some serious problems with the b7/70s. I am indeed working today. I don't think Sony released an update that would brick B7/70's - they're very likely running the last official release. You should be seeing some attempts at secure traffic to Sony's servers upon startup, but I don't know enough about the B7/70 firmware to know for sure. Unlike the C10, we had absolutely no involvement with the development of the B7/70. I can confirm there were no SW upgrades for B7. It still works in a night mode. It is definitely attempting to connect to the sony's server at startup as I was able to make it 'work' in a night mode by blocking dash's mac address on my router. Suddenly my HID-B70 decided to firmware upgrade on it's own today. I'm very sad (seriously). It's in a continuous "Authorizing" state now [or I can shut it off]. Please help! The Sony servers are permanently off-line. Nobody has been able to hack their way into a B70 yet. I am not sure what help can be provided. The B70 may be unbricked some day so I would not toss it in the bin yet. I suggest you put it in a closet, in a garage, someplace out of the way. Maybe pick up a Chumby or Infocast 10 for now. They are available fairly cheaply these days. So while messing with my B70 (ordered a c10 on the bay and was sent a b70) I've noticed it's pretty useless as is. While trying to connect to wifi it pushes me to a screen to sign in to said wifi much like if I was at a hotel. I'm wondering if anyone has tried to use a custom dns server to trick it to loading a webpage that could potentially lead to being somewhat functional. Also, if anyone knows roughly how the wifi connection command is executed it might be possible to enter a custom SSID that will allow us to break free or at minimum enable sshd etc. Thoughts? I know we are blind to the device right now but I'd like to see this thing get cracked. I'm gonna take it apart later today and look for some sort of console access. 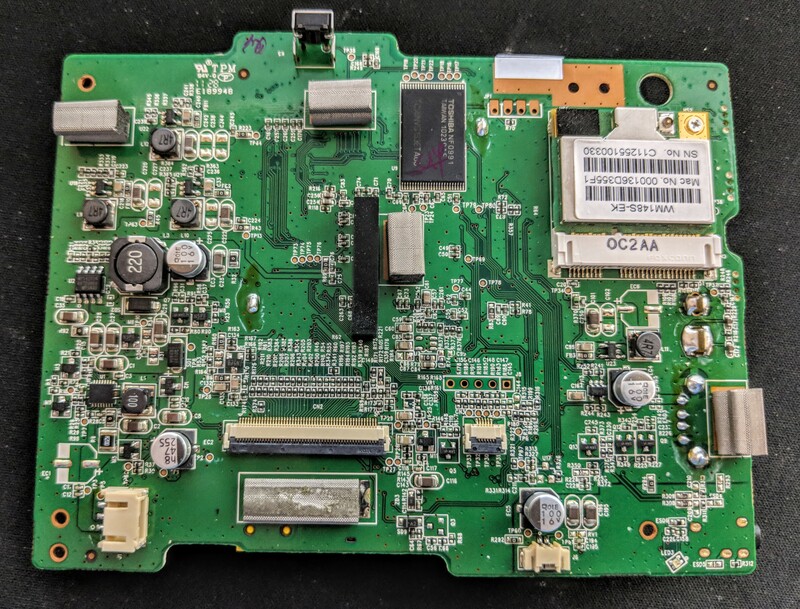 I am not sure which model this is or how similar the different Dash models are, but here is a teardown of a Sony Dash. Hope this is helpful. As you can read in previous post by Duane, Chumby had none or little to do with the B7/70 production. Sony was trying to improve from the C10 and it actually was more Sony exclusive than previous model. Maybe you can crack this case. There would a few that would be happy to hear that. I think there is a key, but if it still exists, Sony has locked it up in their archives. Seems like they would love to let their former loyal customers have the joy of their Dashes again. Here's hoping you succeed. Almost positive the above tear down is on a C-10. B7/70 had an on/off button and looked similar but not exactly like the previous model. Also, B70 had a 60 minute life battery back up. Thanks for the info Dennis. I have not seen a Dash in person and have no idea about the differences in models. As for Sony, they have a long history of treating their customers poorly. They would much rather see all of the Dashes in a landfill before they would hand over the keys that would allow their customers to continue to use their devices. I'm not allowed to post any (clickable) links but I did take some pictures of the internal hardware. My USB UART won't arrive until Friday so maybe I'll be able to do something on Monday. If you can send a link to a google photos or the like we can see it. I have not figured out how to post pictures on the post. I'll let you know if I can get anywhere with this. Network is down. Network time not updated. I was able to get a shell but this is where I slow to a crawl. Anyone have ideas? If you put a USB drive in the device, can you see if it mounted? OK, what is the mount point for the USB (probably something with "media" in the path)?